Leading Wholesale Trader of abrasion resistant conveyor belt from Mumbai. As one of the leading entity of this domain, we are engrossed in providing supreme quality Abrasion Resistant Conveyor Belt. The offered belt is made utilizing high grade materials that deliver high stability strength and control. . Our engineers have developed the belt applying advanced machines and progressive technology that aid in designing the robust this belt. Clients can get the bet utilized in various different operations such as load, unload, pull and packaging applications at industry leading rates. 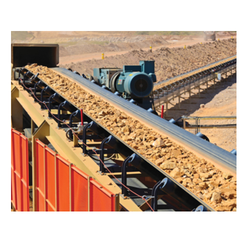 Looking for Abrasion Resistant Conveyor Belt ?